Porcelain veneers are one of the easiest and most effective ways to quickly improve the appearance of your smile. 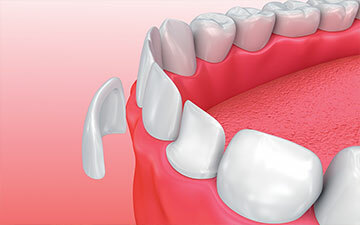 A porcelain veneer is a thin ceramic covering that is used to permanently whiten your teeth, cover chips, correct a tooth’s shape, or fix slightly crooked teeth—often in just two visits. A veneer is a thin porcelain covering that is bonded onto the front of the tooth. 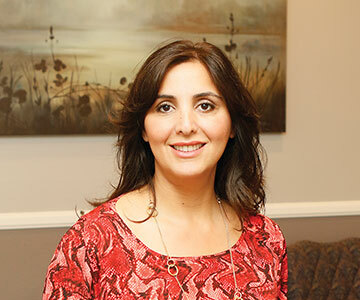 Dr. Jahangiri, Clinical Director, SCFD & Portside Dentistry, has transformed hundreds of patients’ smiles using veneers or a combination of veneers and other cosmetic procedures. Your new veneers will look aesthetic and natural. 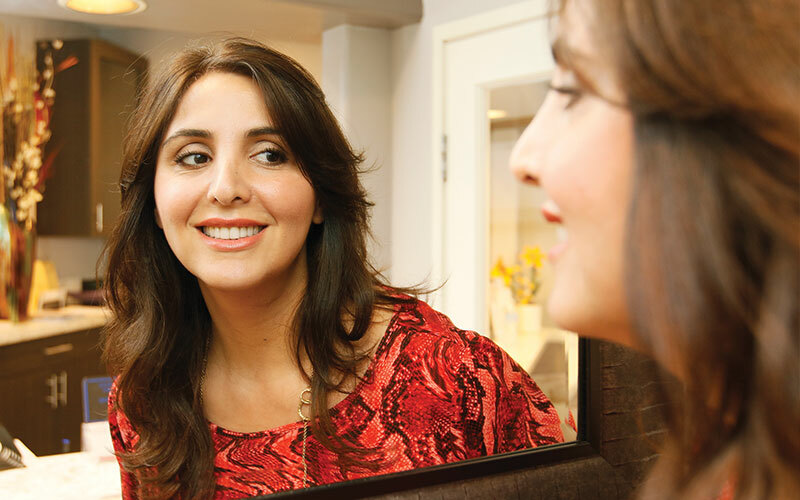 Prior to creating and placing your veneers, Dr. Jahangiri does meticulous planning to ensure that they function properly and provide you with a beautiful, natural-looking smile. He has never had a single patient that wasn’t completely satisfied with their results. In the past, veneers required some shaving down of your natural tooth so that your smile did not look too bulky. However, in certain cases Dr. Jahangiri can use ultrathin veneers made of new and stronger grades of porcelain. These ultrathin veneers require little to no removal of your enamel. Dr. Jahangiri can determine whether you are a candidate for minimal or no-prep veneers as part of your examination. “After two and a half years of braces, I had straight teeth but major gum recession with gaps of gum and empty space between my teeth. I was devastated! “Dr. J and his staff were able to cover my teeth with veneers that were beautifully shaped and that complemented my face. “They were always as gentle as possible and extremely professional. Call Whittier at (562) 693-0788, Lake Forest at (949) 830-3743 or San Clemente at (949) 234-0500 to schedule your complimentary consultation.